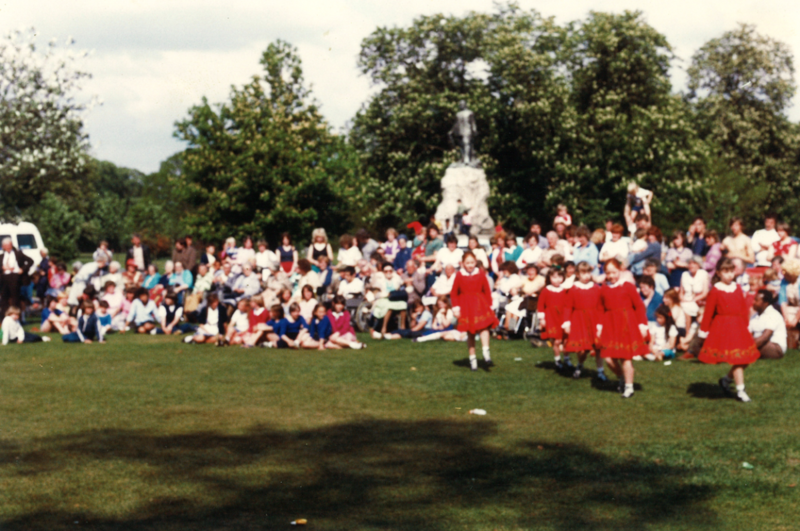 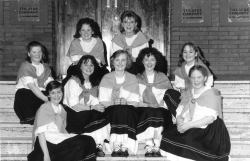 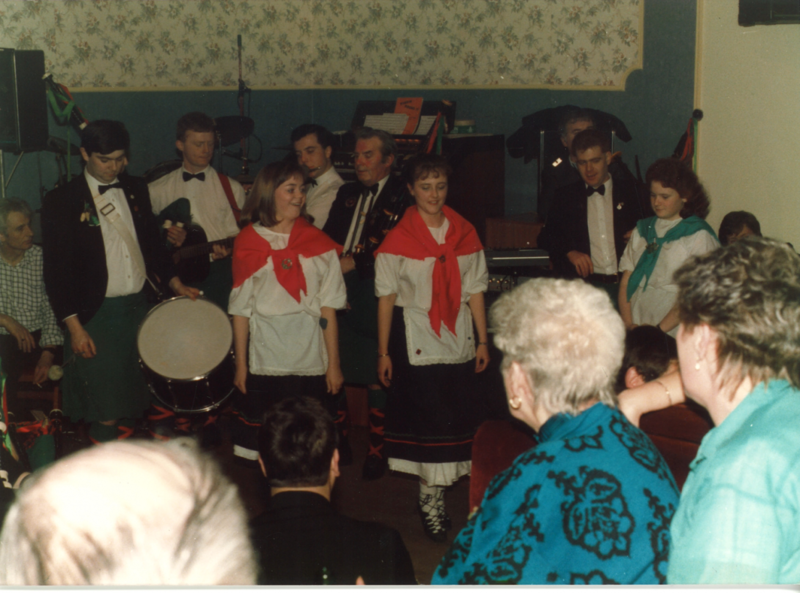 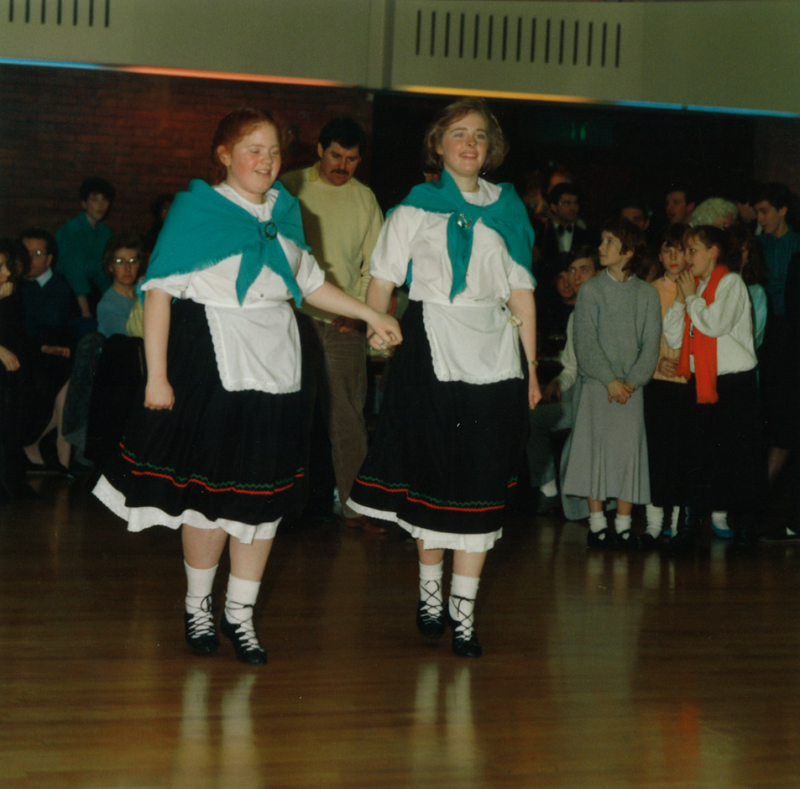 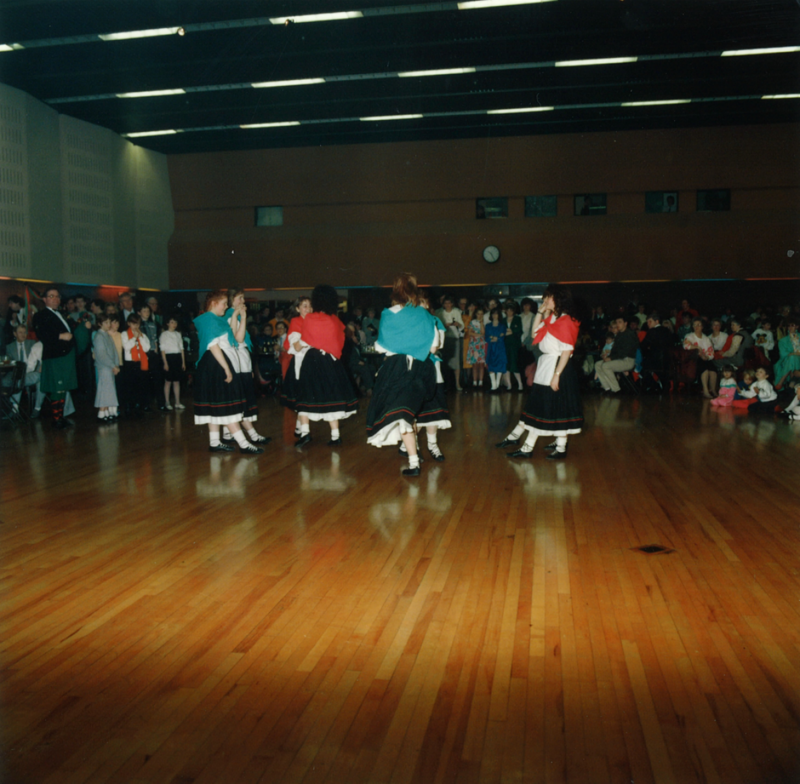 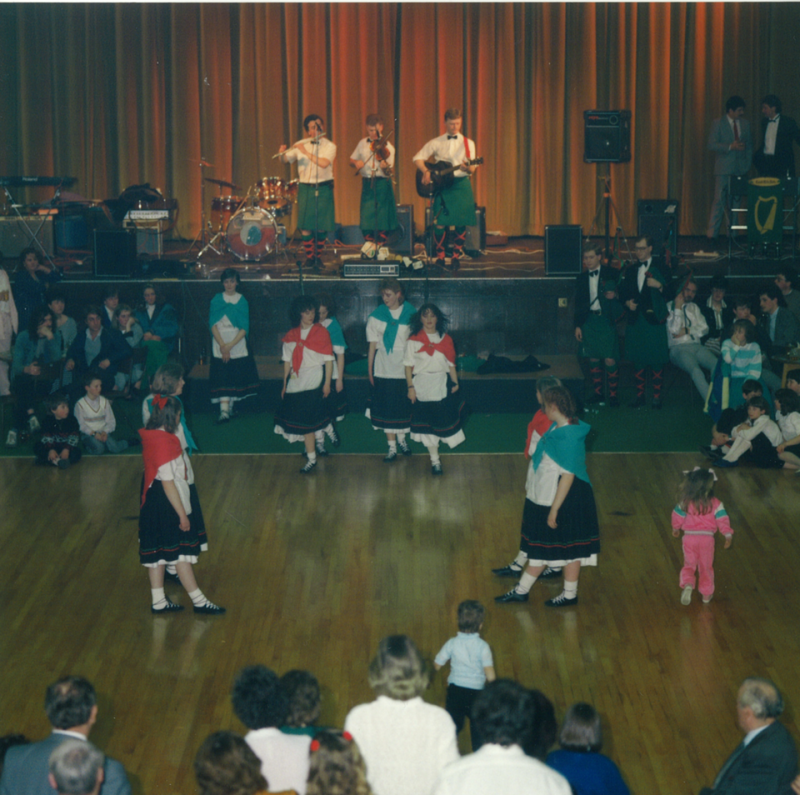 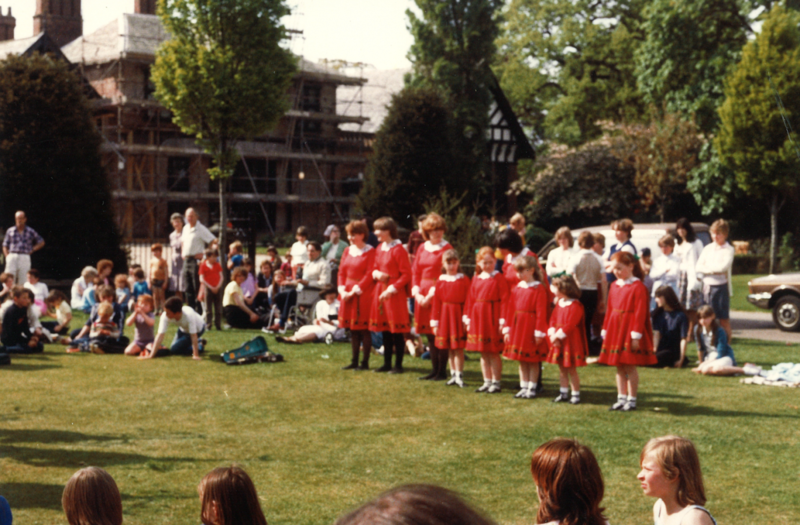 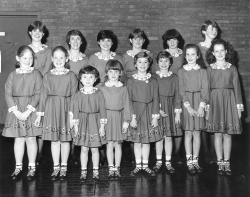 In the mid-seventies, after several unsuccessful attempts, the Fianna Phádraig dancers were formed, under the tuition of Cath Brealey (now Lisgo), a former student of Mrs. O'Neal. 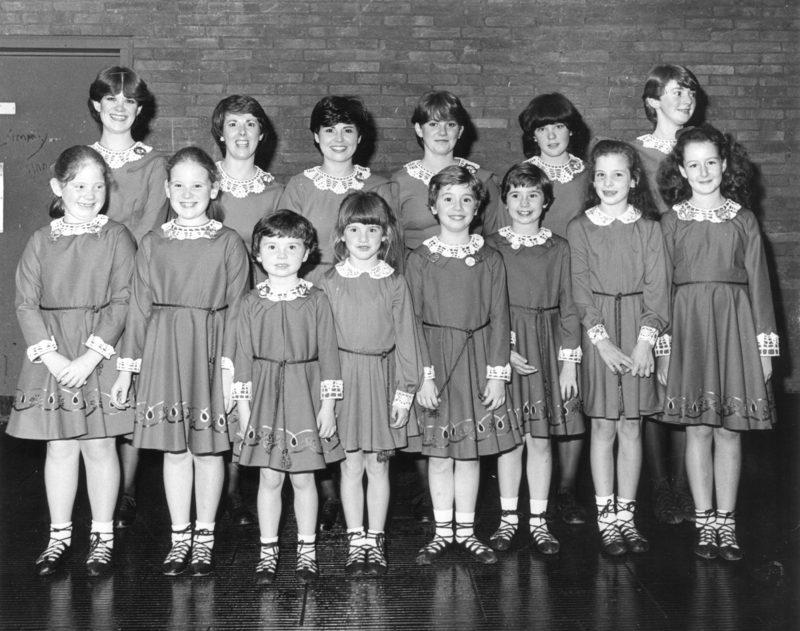 From the Fianna Phádraig collection.The initial group comprised Cath Brealey, her sisters Jo and Judy, Angela and Stella Grainger, and Maureen Mahon, whose brothers John and Chris were both band members at the time, and Josephine Lennon, whose mother, Joan Lennon (née Maguire), was one of the original Dancers who performed under the Fianna Pádraig banner at St. John's parish. 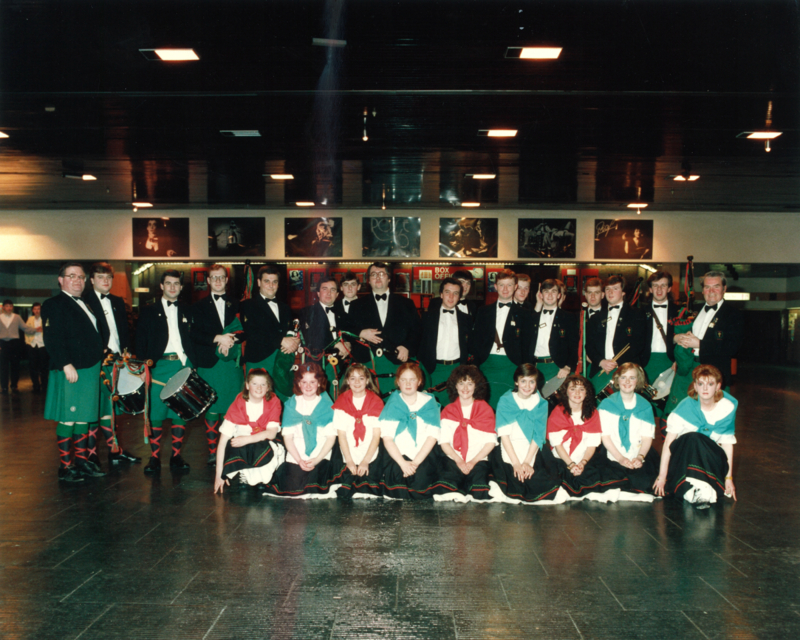 The male contingent was drafted in from the Band, with drummers Chris Flynn and Peter Dinsdale, and pipers Paul Grainger and Peter O'Connor. 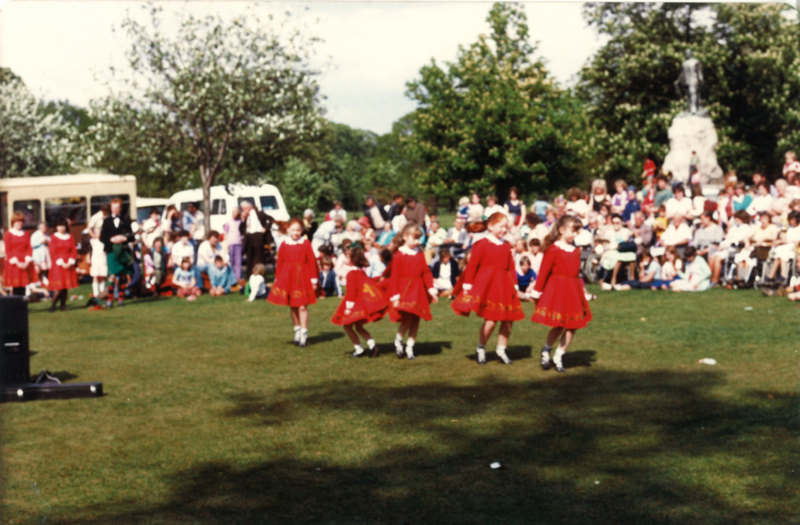 From the Fianna Phádraig collection.The Dancers performed regularly with the Band, adding a dimension of grace and elegance - from the girls, of course! 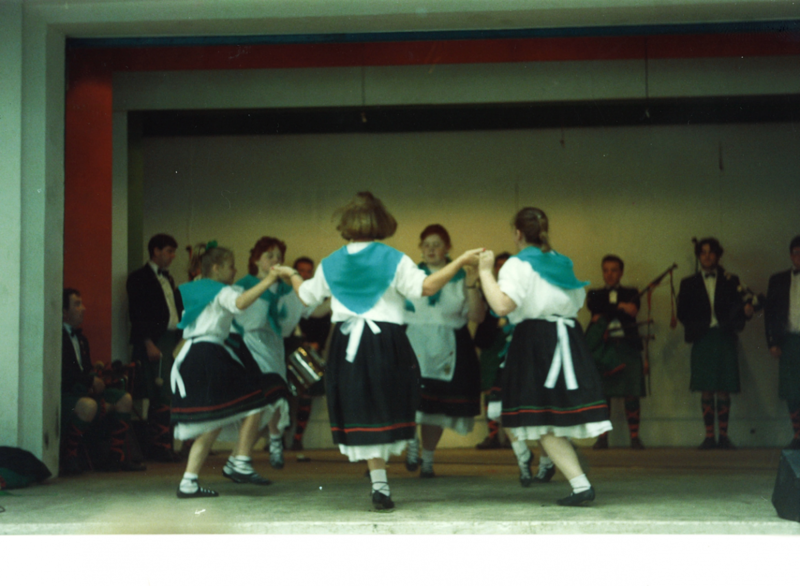 - to the Fianna Phádraig set. 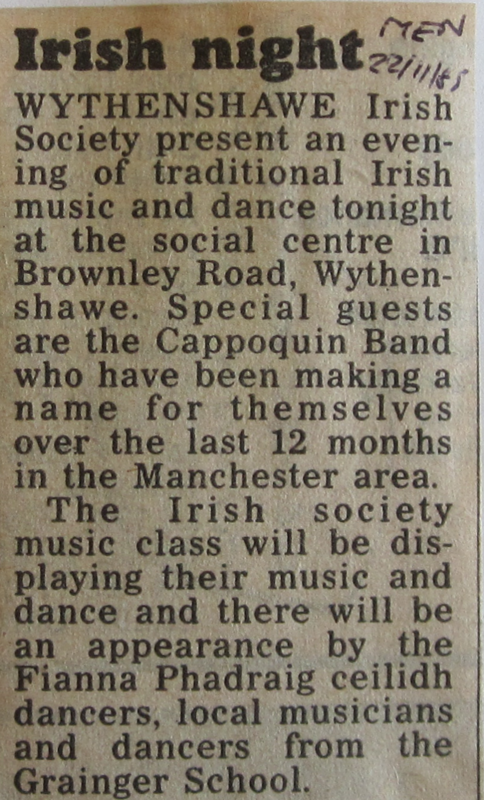 After a couple of years, following the arrival of young dancers from Cath's Wednesday evening junior class at St. Anthony's, including Colette Grainger and Anne-Marie & Siobhan O'Connor, the boys, whose fingerwork was admittedly more delicate than their footwork, rejoined the ranks of the band, leaving the girls to perform their more intricate and sophisticated routines. 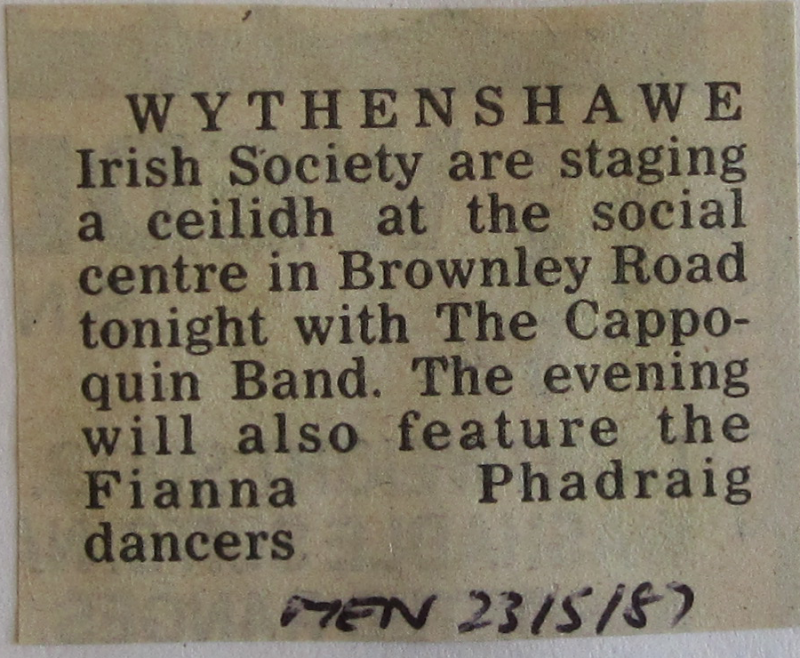 From the Fianna Phádraig collection.The Fianna Phádraig Dancers continued to perform with the Band until the early nineties, under Cath, then Stella Grainger, and then Yvonne Fitzmaurice, dancing at local events and travelling with the Band to festivals abroad, including Cobh, in County Cork, Sint Niklaas and Vosselaar in Belgium, and Lefkas in Greece. 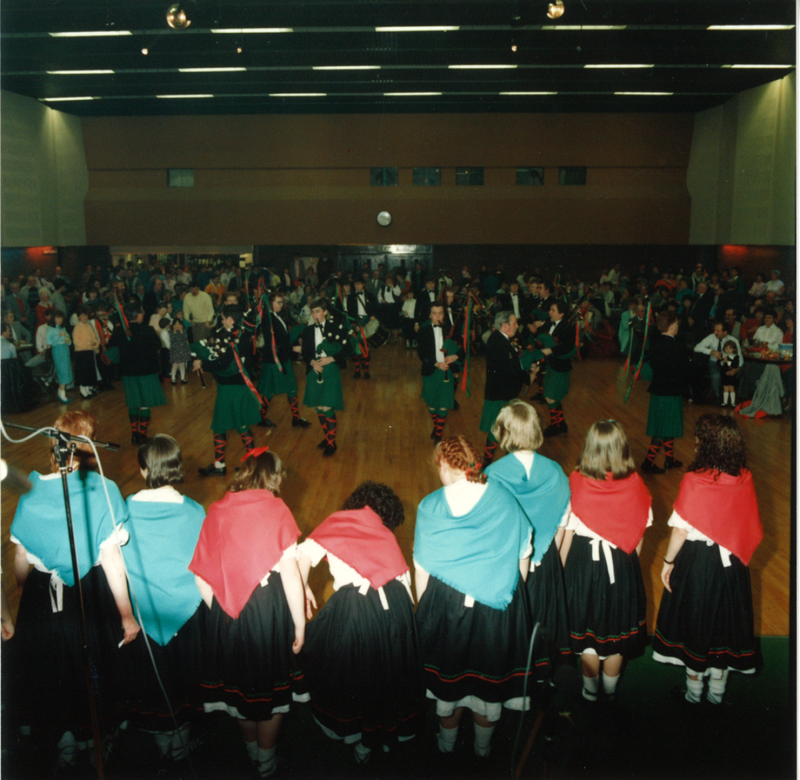 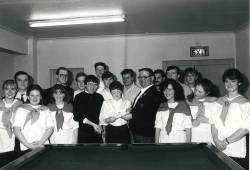 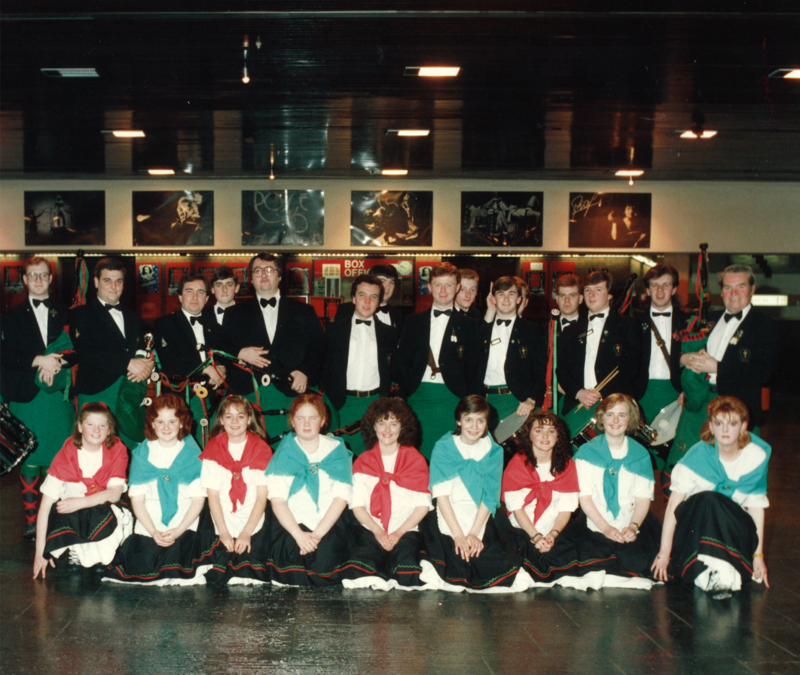 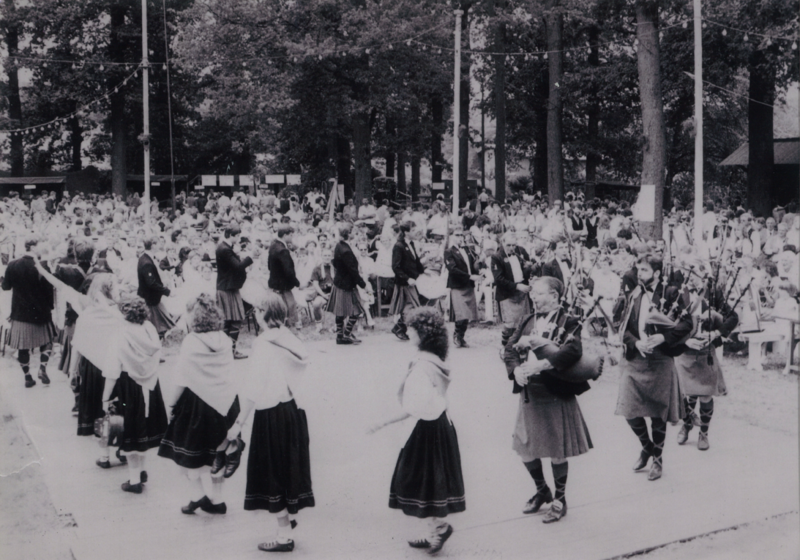 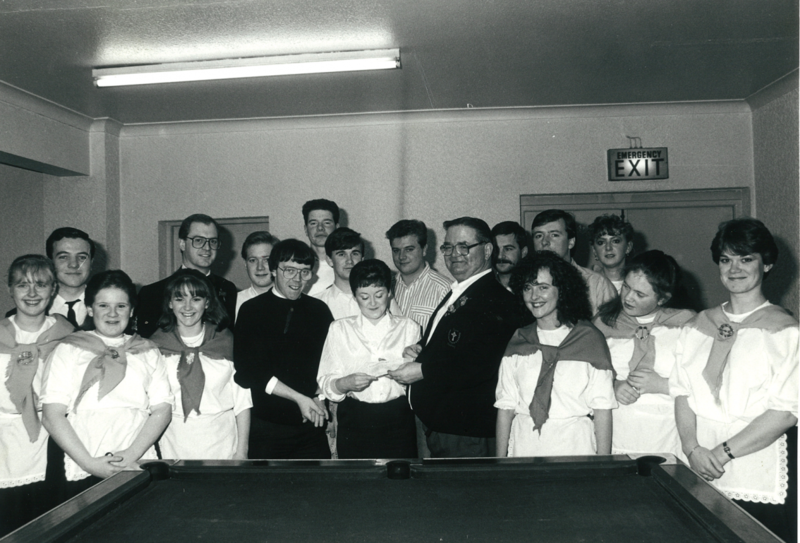 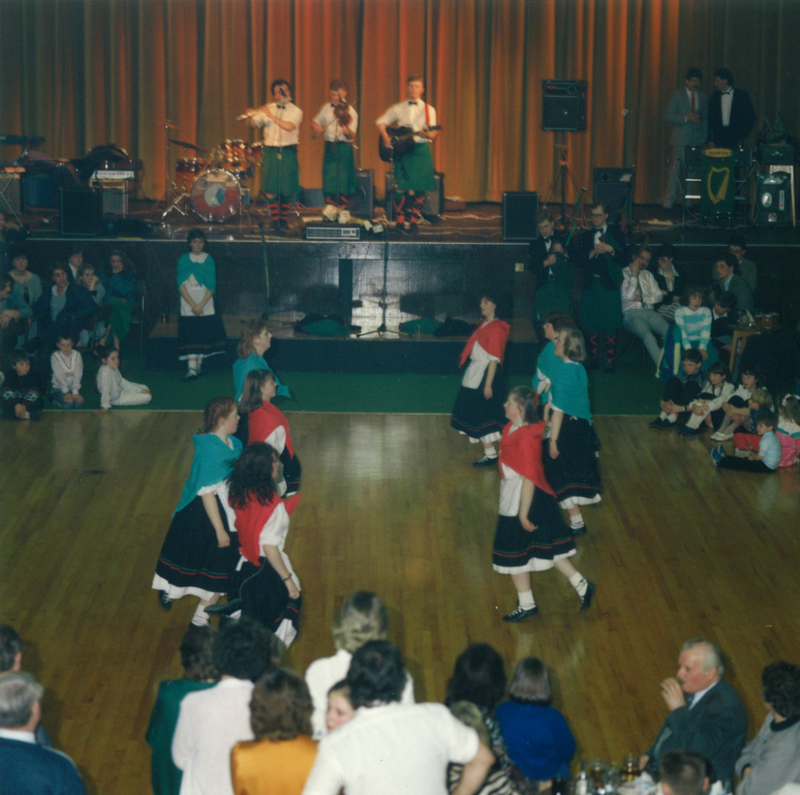 If you were once a member of the Fianna Phádraig Dancers, we would be happy to receive any information, anecdotes, memories or photos from your time with the Dancers in order to complete the story and do justice to an essential component of the Fianna Phádraig setup. 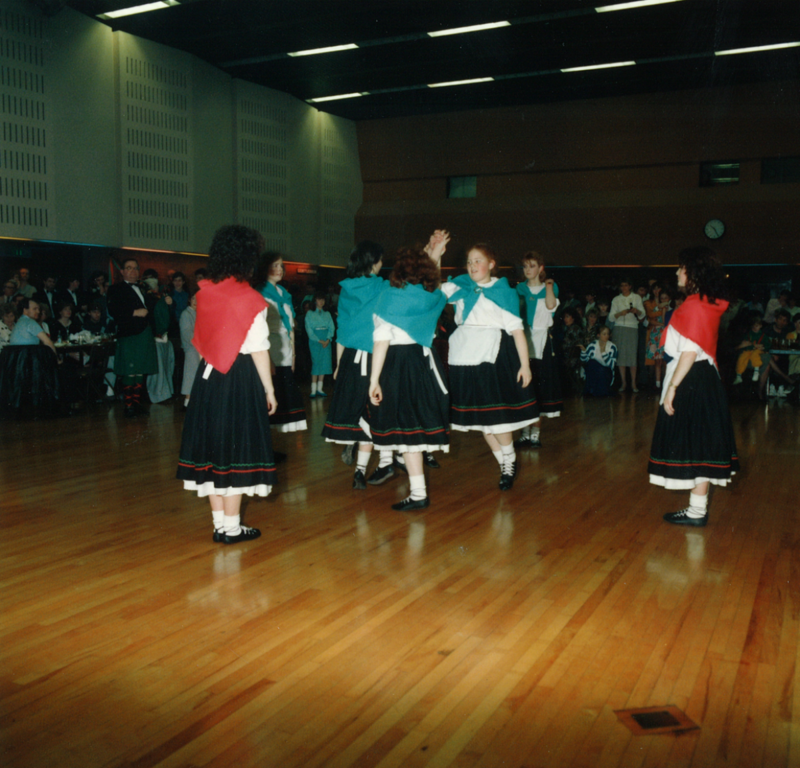 Click on an image below to view photos of the Fianna Phádraig Dancers.